Gloria Jean's is known for its range of boldly flavored coffees and signature beverages. For nearly four decades, we have continued to innovate and have advanced our never ending quest to provide the highest quality coffee, most tempting flavors and exceptional customer service. NOT JUST A COFFEE SHOP. FIRST IN FLAVOR. FINEST IN QUALITY. Every year, we roast nearly half a million pounds of coffee at our own roasting facility in Southern California. We only use the top 100% Arabica beans that we source from exotic locations all around the globe. Our Roastmaster creates intoxicating blends and award winning roasts that keep our guests coming back again and again. 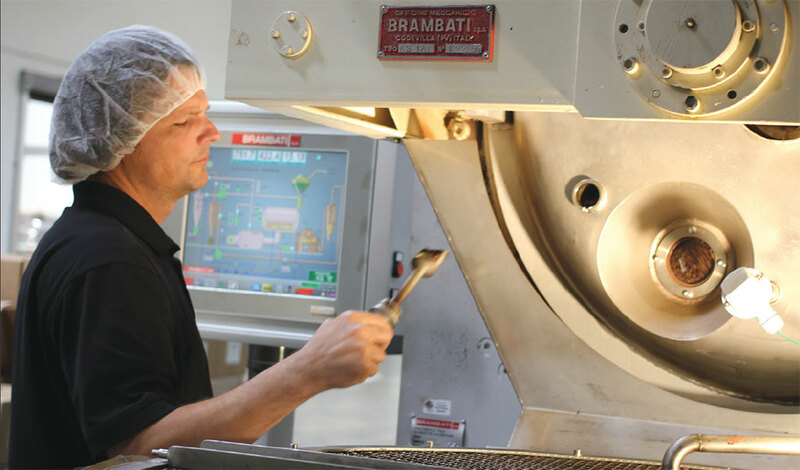 Each bean passes through our Brambati roaster from Italy before shipped to your coffee house. BLENDING AND BREWING UP PROFIT. Our guests crave the amazing combinations of tempting drinks they can only get at Gloria Jean's. Our menu consists of one of a kind chillers - frosty iced blended drinks in great flavors like White Chocolate Cookie, English Toffee and seasonal favorites like Pumpkin Spice and Red Velvet. Alongside those indulgent treats are classic espresso based lattes and mochas served with a signature Gloria Jean's twist. Other revenue-producing areas are whole beans and assorted pastries and retail merchandise. 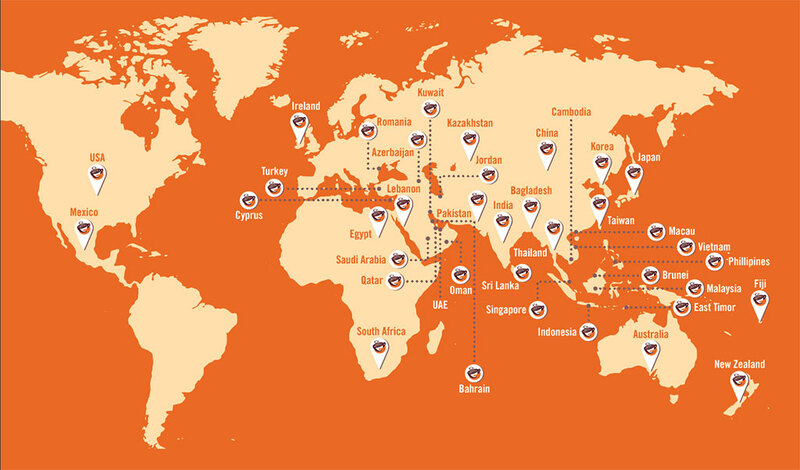 Gloria Jean's boasts more than 800 coffee houses worldwide. 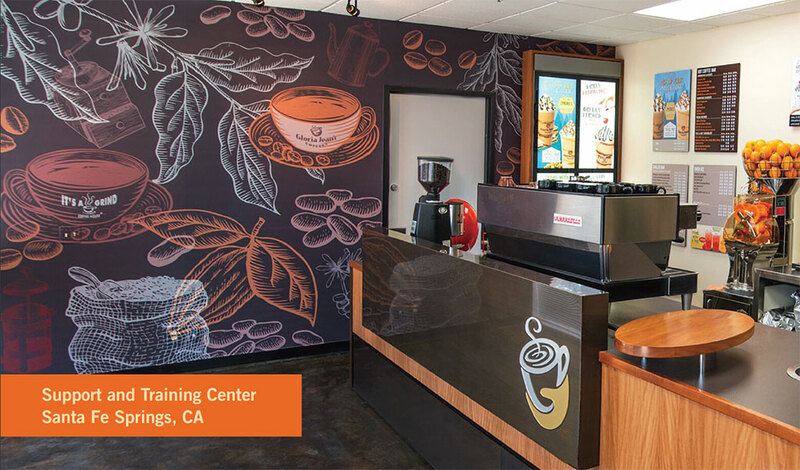 One of the most respected and loved coffee brands with a proven franchise model. Our parent company, Retail Food Group is based in Australia, is publicly traded and owns more than 10 brands worldwide. However, we pride ourselves on individual attention with each franchisee to create success in their local market. JOIN A FAMILY, NOT A CORPORATION. We believe that franchisees should be in business for themselves, not by themselves. WE'LL BLEND LIKE COFFEE AND CREAM.